The capital of one of the most sought out tourist destinations in the world, Bali, Denpasar is an eclectic mix of modern amenities and traditional beauty. A prime example of this is the fact that Denpasar has state-of-the-art diving opportunities right alongside centuries-old temples. There's just the right blend of urban and rustic to ensure that all travelers will find exactly what's right for their vacation in Bali. Here are the best things to do in Denpasar, Bali. 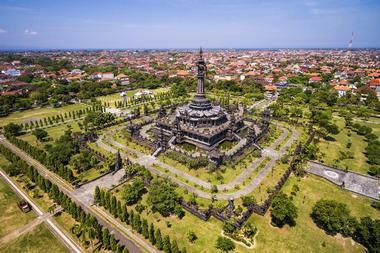 Situated in the heart of Denpasar city, the Bajra Sandhi Monument gives prominence to the struggle faced by the Balinese people. 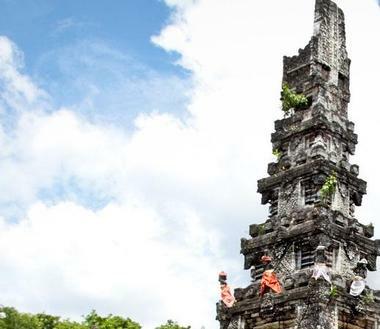 Built in 1987, the monument preserves various cultural aspects of Bali and passes on the journey, history, and spirit of the Balinese people for present and future generations to understand. Bajra Sandhi comprises 33 dioramas portraying stories from history. The name bajra represents the shape of a bell used in religious ceremonies, and the monument is one of the most important places of interest in Bali. 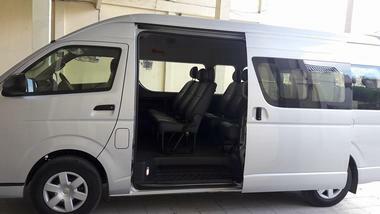 Parking area, public toilets, shuttle bus, food stalls, and other facilities are available. The Bali Provincial Public State Museum, locally known as Negeri Propinsi Bali, gives visitors wonderful insight into Bali and its people, history, culture, and traditions. 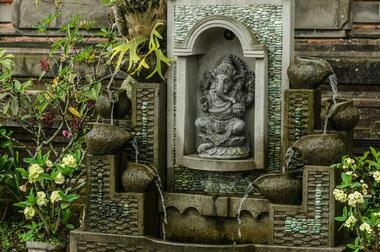 The museum can be found right in the heart of the provincial capital, Denpasar. The island's main museum and the oldest landmark there is, the museum houses over 10,000 exhibits. 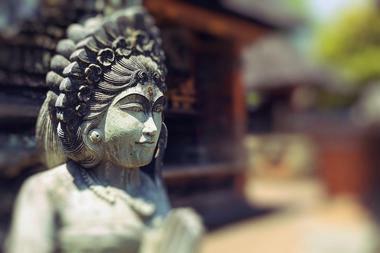 The architecture itself is built in a style common in Balinese history, complete with stone carvings. Adjoining the museums, visitors will find tropical gardens where there are many statues representing art and history from the island. The Jaganatha Temple is also nearby, so visitors can visit both of these cultural hotspots in one visit. Dedicated to preserving the life and works of the wonderful painter, Adrien-Jean Le Mayeur de Merpres, the Le Mayeur Museum is a memorial of art and history. Le Mayeur, who was born in 1880, had a very unorthodox style and brilliant technique. The museum itself is the very house where the artist and his beloved wife, Ni Pollok, lived. Pollok dedicated the wonderfully well-crafted house to the people after the artist's death in 1958. Apart from the amazing artwork and heritage you see in the displayed pieces of work, visitors will find that the building itself is stunning. Classical Balinese elements such as sculpted stone walls and red terrazzo floor tiles silently reflect the love Le Mayeur had for his art. The museum is named after the brilliant artist as a way of respecting and preserving his talent for the world to witness. Visitors who want to analyze the richness of Balinese art and culture should pay a visit to Neka Art Museum, previously known as Neka Museum. The wonderful experience will give visitors an artistic perspective that stirs the soul. Collections displayed include foreign artworks by Balinese, Indonesian, and other foreign artists depicting the natural beauty, life, and culture of Bali. Art lovers, or those who generally appreciate beauty, will definitely recognize the Neka art museum as one of the most unique places in Bali. It is a source of inspiration and information to those who visit it and is now recognized an institute of international standards. The Academy of Indonesian Dance is a branch of one of the most influential dance organizations in the world, RAD Dance School. RAD has been around since the 1920s and is headquartered in Battersea, London. Other than in Indonesia, the dance school has a presence in 84 other countries with more than a million students following their syllabus. The experts at the Academy of Indonesian Dance are trained by RAD professionals and offer a full timetable of courses to people of all ages, from toddlers to the elderly. 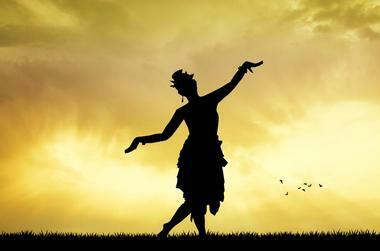 Whether you're looking to develop technique, have a little fun, take part in a healthy activity, or dance for professional development, the Academy of Indonesian Dance has something for everyone. Everyone needs a little time to themselves, and the Aroma Spa Retreat ensures a spa experience that will relax and rejuvenate its guests. Located within the Prama Sanur Beach Hotel, the spa offers an extensive list of treatments ranging from anti-ageing treatments, treatments to ease back or other body pains, and treatments to simply pamper yourself and unwind. The experts at the spa combine skillful technique with organic products, and your experience will be completely replenishing. A day at Aroma Spa Retreat isn't just for massages and wraps – guests can indulge in a healthy, refreshing meal or drink to complete the experience. 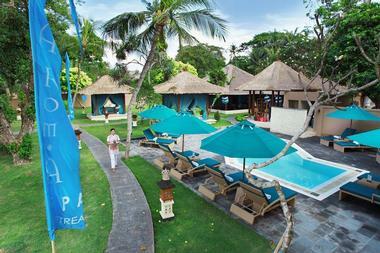 Since its opening in 1996, Atlantis International has become one of the most successful diving centers in Bali. Being a five-star PADI certified center registered with the FFESSM, Atlantis provides an unforgettable experience with personalized safari dive trips all around the whole island. 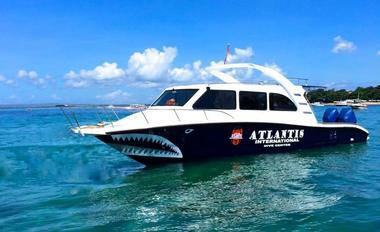 Atlantis pays special attention to customer satisfaction, safety, and sensitivity to the marine environment. Expert trainers who choose the best dive sites and train visitors based on their skill level lead the courses in English. Visitors can explore the incredible marine life of Indonesia with underwater photography, wreck diving, deep diving, nitrox diving, and many other themed dives with Atlantis international Bali. Referred to as Pura Sakenan by the locals who visit this amazing temple, Sakenan Temple plays a very important role in Hindu-Balinese culture. People would travel far and wide on traditional wooden boat or by foot to the temple as a pilgrimage during the 210-day celebration of the piodalan temple anniversary. 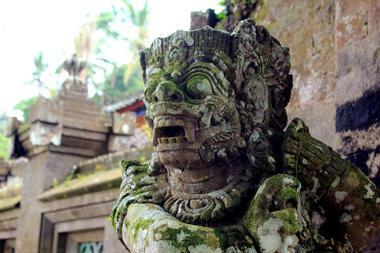 There are processions leading to Serangan Island where the temple can be seen perched on the northwestern shore. Though little things about the pilgrimage have changed over the years, the entire event still holds a very important part in Balinese culture. Visitors will enjoy the stunning views and architecture of the temple as well as the surrounding island. For a marine adventure like no other, visitors can head to Shark Island, a place filled with – you guessed it – sharks! Fun and family-friendly, Shark Island offers a safe place for visitors of all ages to carefully interact with sharks. The conservation nursery offers a three-hour eco tour that allows people to feed sharks, swim with them in a guarded environment, and visit the adjoining turtle conservation and education center. The experience is great for all ages, including little ones, as well as for those who can't swim. The up-close encounter with the sharks is one that most will find most memorable during their vacation! 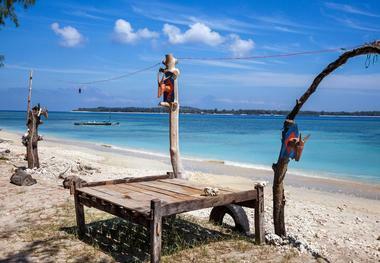 Located on the east of Bali, Lambok is known for its amazing beaches. 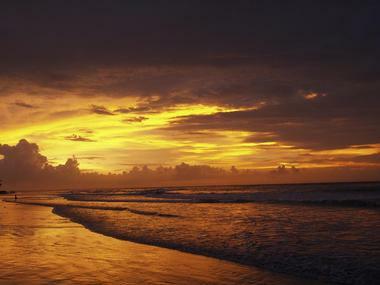 Amongst them lies the popular and sought out Cemara Beach, a place famed for its serene beauty. The clean white sand blending into shades of turquoise from the cerulean sea is nothing to be missed. Lumps of red corals add a special touch to the beach, giving visitors a breathtaking view. A few traditional boats and houses can be seen in the peaceful and tranquil environment surrounding the beach. The unique shimmering white sands of Cemara Beach make it the perfect place to spend the day sunbathing, partaking in water activities, or spending time with friends and family all while enjoying a stunning view. Known for its quick and speedy service in transporting passengers from Indonesia's many islands, Gili Getaway is the premier boat service in and around the Gili Islands. With efficient and secure boats such as the Gili Gateway III or The Bullet, Gili Getaway can get visitors where they need to be quickly, comfortably, and safely. Even better are the wonderful packages and tours they offer for vacationers to explore the many islands and take advantage of stunning views of Indonesia's beauty, including everything from day trips to fishing. Amenities such as chilled towels and refreshments on board are provided. Much of Indonesia's stunning coasts are home to mangroves, and the Ngurah Rai Mangrove Forest in Denpasar may be one of the best examples of that. 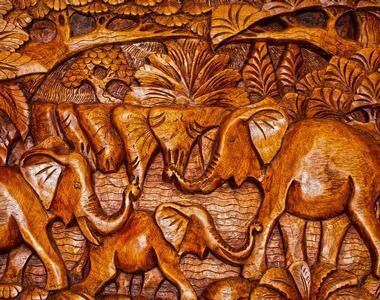 The forest covers a monumental 1,373.05-hectare of land and includes over 7,700 square meters of nursery plots dedicated to educational and conservation purposes. 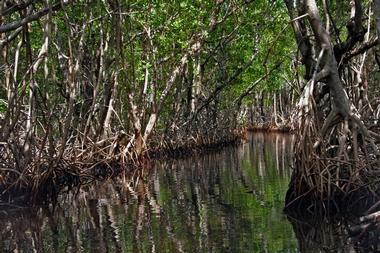 Among the distinguished species and specimens found on the island of Bali and Lambok, this mangrove forest has the rarest varieties such as 13 different types of major mangroves, 28 types of associated mangrove, 62 types of birds, and 10 types of reptiles. The largest market in Denpasar, the Pasar Badung Market is filled with a large range of groceries and goods. The market is only a kilometer away from the city center, and locals and tourists visit on a daily basis – and rightly so! They have a huge variety of clothes and fabric, handicrafts, accessories, homeware, and produce, which is great for travelers looking to get their hands on some great souvenirs and gifts to take back home. The four-story building constructed in traditional Balinese architecture is worthy of exploration, even if visitors aren't planning on shipping. 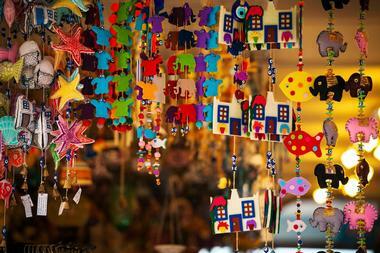 The vibrancy of Pasar Badung Market makes a trip there unforgettable. Lapangan Puputan, which is popularly known as Puputan Square, is a tragic yet extremely important, part of Denpasar's history. Located right in the center, visitors will now come across a large urban green space that is overflowing with locals and tourists who are enjoying the space and the Puputan Square Monument commemorating its past. The location's history hasn't always been so bright and happy as over 100 years ago when it was the site of a horrible mass suicide ritual. 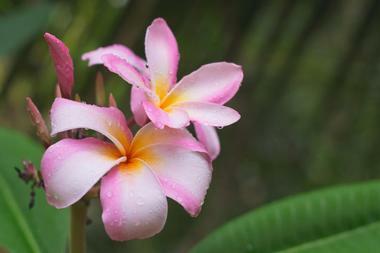 Visitors can explore the location and learn about Balinese history, the horrific events that took place, and much more. 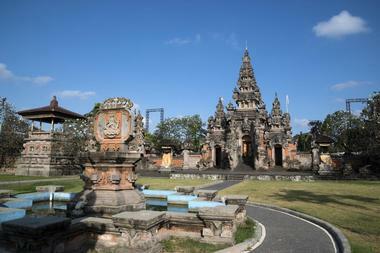 Pura Jagatnatha, also known as the Jagatnatha Temple, is a Hindu temple dedicated to Sanghyang Widi. 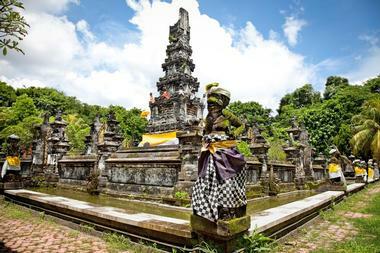 It is the largest temple in Denpasar and also one of the most visually stunning. Made out of white coral, the temple's walls are carved and decorated with traditional stories and scenes depicting various stories of Sanghyang Widi and other Gods from the Hindu religion. Since the temple celebrates two major festivals each month - one for the full moon and the other for the new moon - there are plenty of chances for visitors to join in on the fun activities! Pura Maospahit is an old Hindu-Balinese temple in the southern part of Denpasar. The temple has a lot of history, and everything from the architecture to the intricate carvings serve as testament to that. Unique features include the main gate, which is made of brick relief, a brick pillar on the left of the main gate with a big demon relief, and a clay statue depicting a large Chinese man, a demon, and burung garuda, a mythical bird. Other than the stunning architecture, the temple is a great place for visitors to explore aspects of the Hindu religion and Balinese culture. Bali Safest Driver ensures that no matter what happens, visitors will have safe and knowledgeable drivers/guides so that they can enjoy their holiday experience more. The drivers/ guides are Bali natives who know the land the best, as they've grown up around them, but who are also fluent in English so that visitors will have no trouble communicating. From private busses to family-friendly cars, visitors will find the most reliable transportation with Bali Safest Driver. From its close proximity to resorts, restaurants, and clubs to its laid back and relaxed coastal ambiance, Sanur Beach is one of the better beaches to visit when in Denpasar. What used to be a fishing village is now still very much the same in terms of charm, buzz, and local friendliness, which is why visitors find themselves going back to this beach multiple times during their vacation. 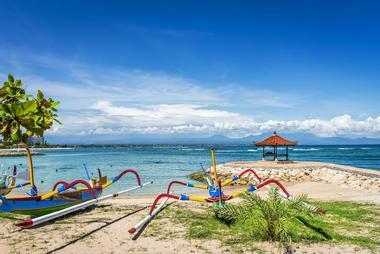 Sanur Beach was one of the first beaches in Bali to offer a beach resort atmosphere complete with hotels, resorts, and a collection of restaurants, bars, shops, and entertainment venues. Indonesia's waters are filled with hidden underwater wonders, many of which lie on the ocean floor surrounding Bali. Baliberty Day Trips gives visitors the chance to dive into the treasure, explore areas that haven't been seen by man for centuries, and come back with a gem of a memory. 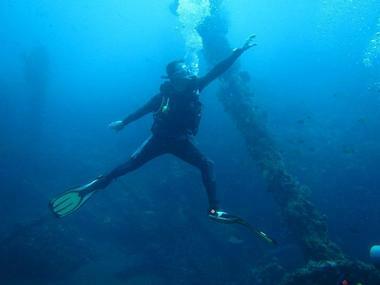 Baliberty itself boasts experienced and certified trainers with a passion for Bali's diving sites. Trainers use state-of-the-art equipment and oxygen kits to guide people of all skill levels ensuring that they have a fun, unforgettable dive. 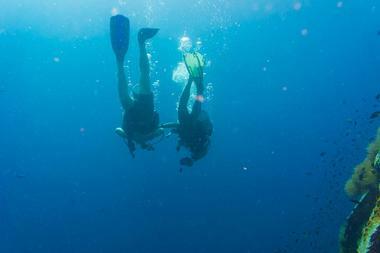 Dive sites are specifically chosen based on the diver's skill and capabilities. Visitors can explore a side of Indonesia that can't be seen anywhere else with Baliberty Day Trips. A small market located in northern Sanur, Sindhu Market is open from sunrise to midnight almost every day of the year. It offers a great opportunity to explore the local market, interact with the residents there, and see what life is like for those living in Denpasar. 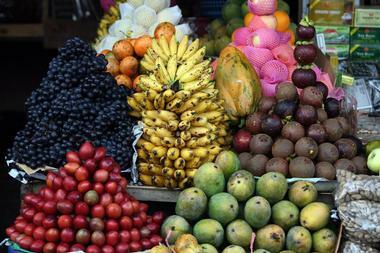 In the daytime, there is a fresh array of vegetables and fruits on offer, and visitors can find many delicious treats that are indigenous to Indonesia. Other items that can be found there include DVDs, toys, electronics, and children's clothing. One of the better times to go is in the evening because in addition to the many shops, a bunch of food stalls also pop up with wonderful local street foods to try. Since it opened in 2006, the Turtle Conservation and Education Center has been eradicating illegal activities such as capturing, selling, and trading turtles and turtle eggs in Indonesia. 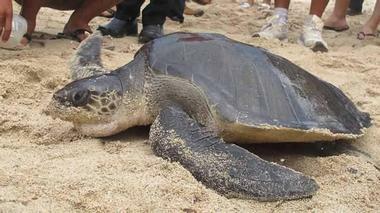 Simultaneously, it has attracted many visitors and volunteers who come to see, help, and play with the turtles. Visitors can see the different turtle tanks, get a guided tour on how they're fed and taken care of, and even help the conservation center free the turtles back to the ocean once they're mature and ready! Plus, there are so many learning opportunities for visitors to understand how many different turtle species visit Indonesia, how turtle eggs hatch, or how far they migrate! Designed by one of Bali's most accomplished architects, Ida Bagus Tugur, the Werdi Budaya Art Centre took nearly three years to construct. It is one of the largest cultural centers and can accommodate over 6,000 people. The center regularly has different events and activities for locals and visitors to participate in; cultural functions are scheduled all year round. Just exploring the building's architecture and decor is an amazing experience. 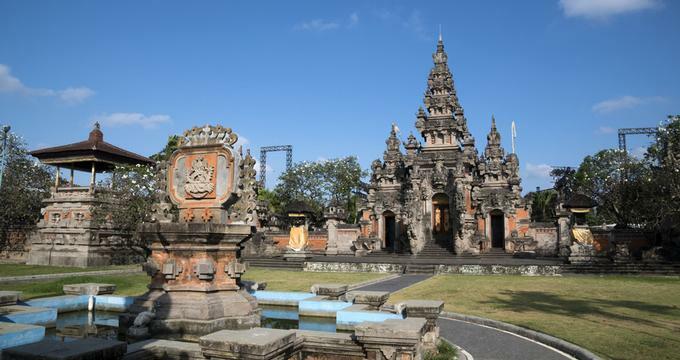 Other than the stunning pieces in the art museum, there's an amphitheater for performances, Balinese pavilions, and a sprawling park for families to spend the day picnicking or relaxing.